Part 6 - Floral Scroll Paper Set from my EKD "Old World Charm" digital collection. This set includes the 4 coordinating papers and the Gray Tone paper template that can be used as is or to create other color pages with a digital computer program like Photoshop. I like to have a ready to use stash of coordinating supplies when I'm working digitally. Creating one base template paper and saving them with different colors that blend with my other papers; gives me an additional supply of quick complementary design choices. Then by also having the base gray tone template I can create additional colored pages as needed. 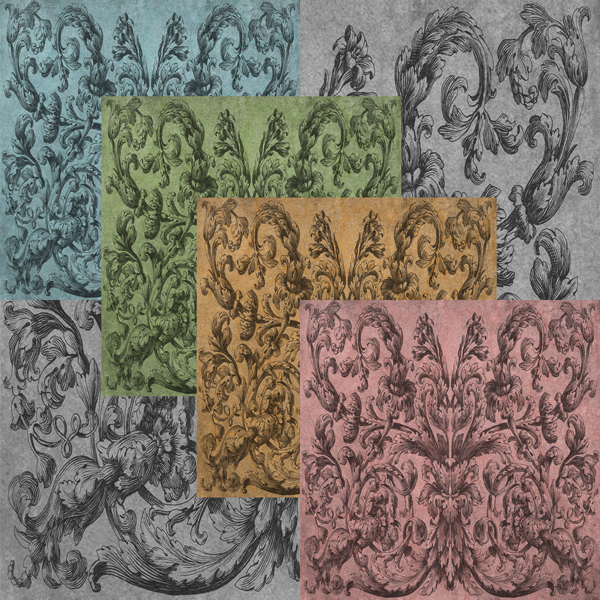 I created the Floral Scroll pattern to have a fanciful Baroque pattern that reminded me of Europe and the colors for the four papers are based on the focal colors from the pallet I used when designing my "Old World Charm" digital collection. The Gray Tone paper is the paper template and can be used "as is" or a digital color layer may be applied so it can be tinted at a later time as needed to match any project I'm working on. How I use the template in Photoshop. but for simplicity I'm just showing how I opted to colorize this gray tone template. I began by opening a new page via File - New at the top of my Photoshop toolbar. 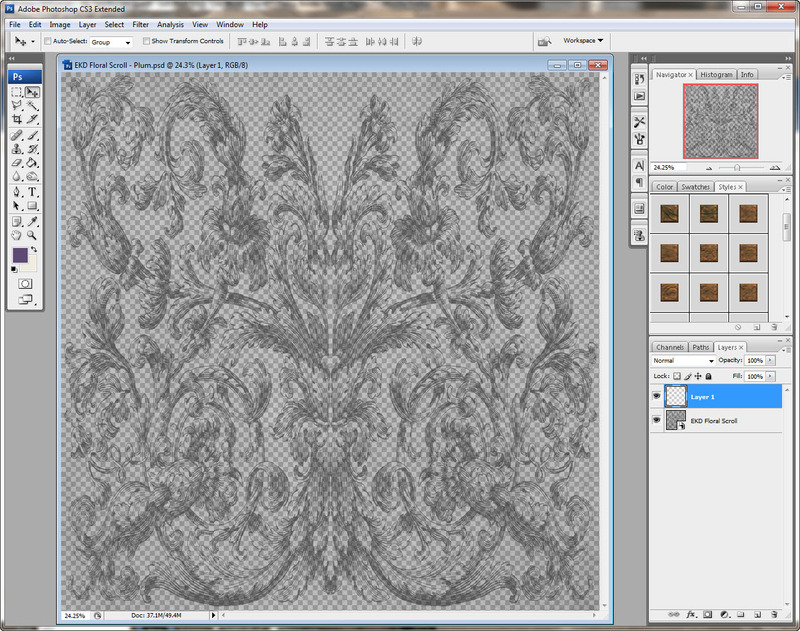 and selected my gray tone template which pop up right on my work area. of the layers pallet area - it looks like a square with a flipped up corner. I chose color code 5d4774 for my "Plum" paper. 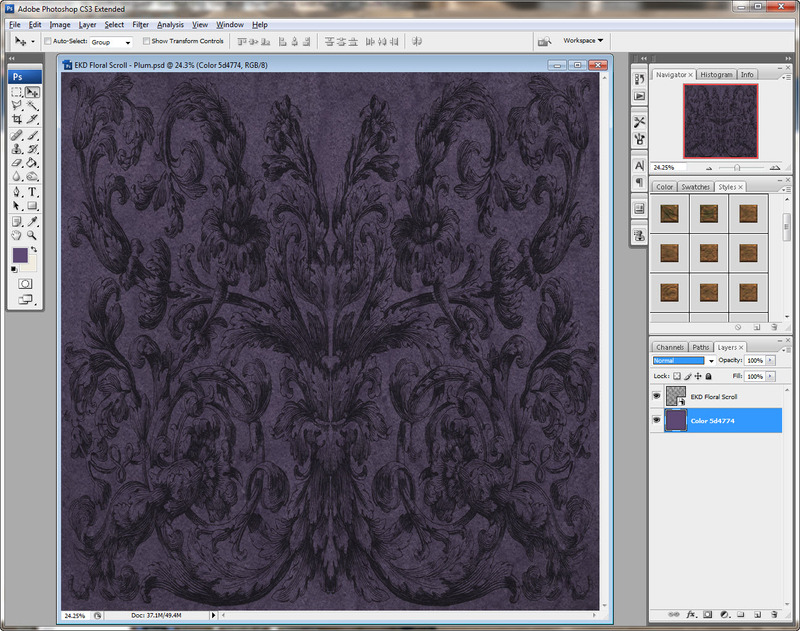 I used the paint bucket tool on the far left tool bar and clicked on my work area. This made the whole area a sold purple, so I changed my blending mode to the Overlay setting, which allowed my pattern to show through and give me a new colored page to add to my collection. 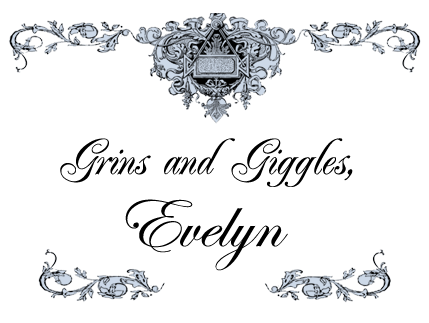 I created my Paper Template as png files since they are slightly transparent. to get a slightly different look. the template on the layers pallet in Photoshop. allows a bit more of the details of the template to show through. and what blending mode you choose. This is all personal preference so do your thing and have fun is what it's all about. 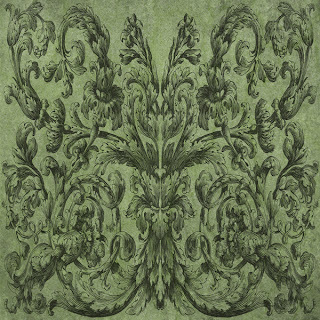 The images in this collection are sized for digital scrapbooking. to my blog so others can join in the fun. Many Thanks!